During the Art Nouveau period, Czech Republic was part of the Austrian Hungarian empire. The dominant people in this empire was the austrians and therefore in Bohemia raised a strong will for independence. In Arts too, Czech people wanted to be at the top but with a "proper" way of doing it. 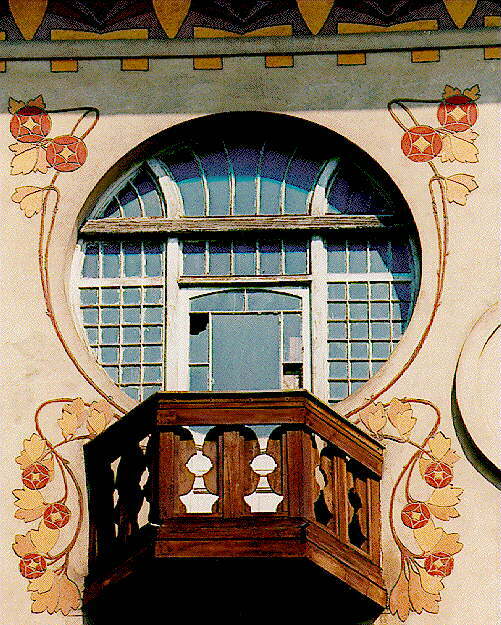 These questions of modernity and national Art are shared accross every Art Nouveau movement. 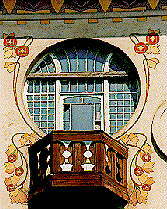 Visit Art Nouveau in Prague. Praha has many Art Nouveau marvels but it is worth visiting also its baroco churches and listen to classical or traditionnal music. Praha art nouveau architecs (and their clients) wanted to create a modern town, that would rival with others big cities in Europe, attract industry and tourism. Main artists : Alfons Mucha (designer), Jan Kotera, Bendrich Bendelmeyer and Ohmann (architects), Frantisek Bilek, Ladislav Saloun (sculptors). Bilek is the artist that I love most, his sculptures and his own house have something of forever that makes me really delighted. 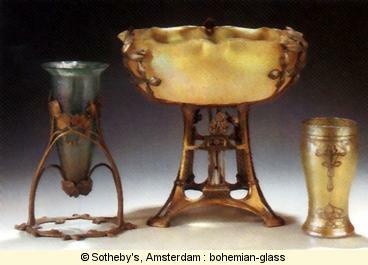 Lot's of historical Bohemian glass factories used Art Nouveau to address new markets and respond to the new taste. The most well known is the Loetz company which created very specific type of glass. One the right, glasses from an unknown factory. More specific links about Loetz can be found in the dedicated sections.